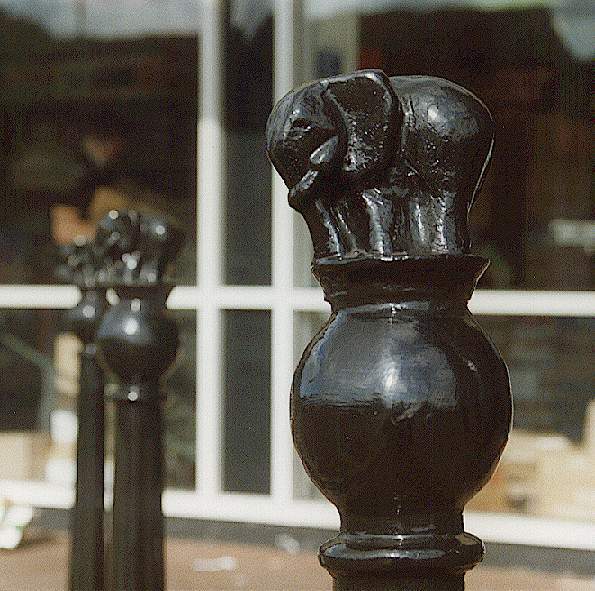 This elephant, weighing 1062kg and made out of cast iron, sits proudly on the canopy in Victoria Square, and is one of a pair here, that used to sit atop the gateposts of the Bolton Bleachworks until 1977. 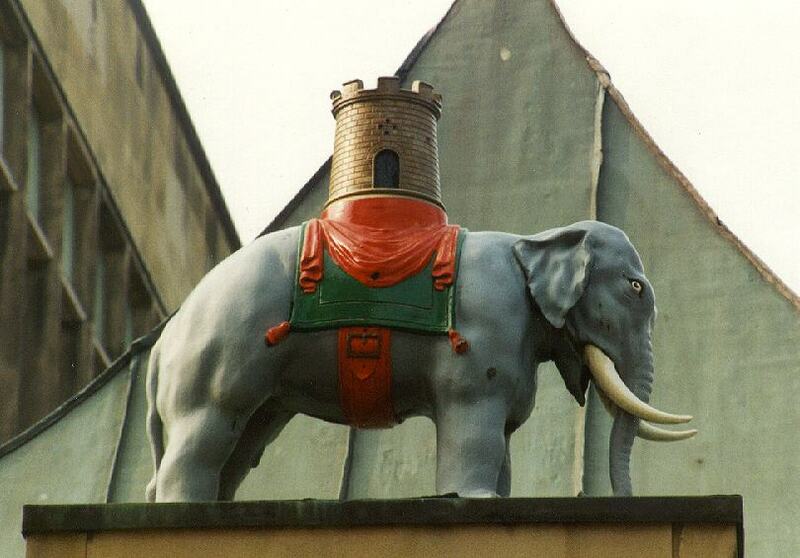 There are many elephants, and castles, in and around Bolton, most inspired from the Coat of Arms. 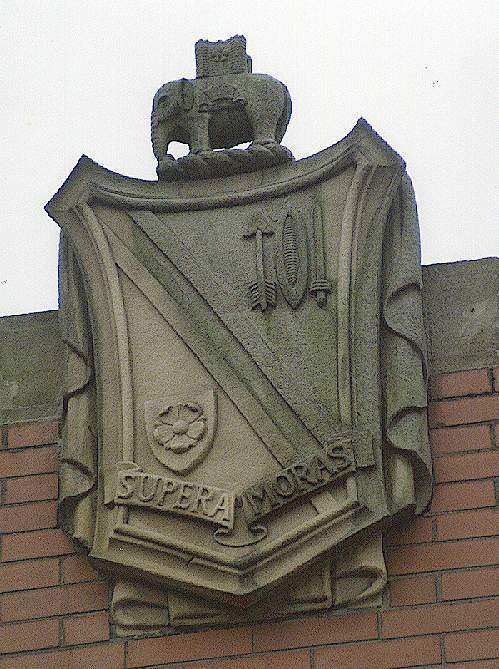 In 1890, Major Ottley Perry incorporated the elephant into the former Bolton County Borough arms in respect of the (unproven) connection between Bolton and the ancient Diocese of Mercia, in the old county of Coventry, created by Lancastrian King Henry VI. 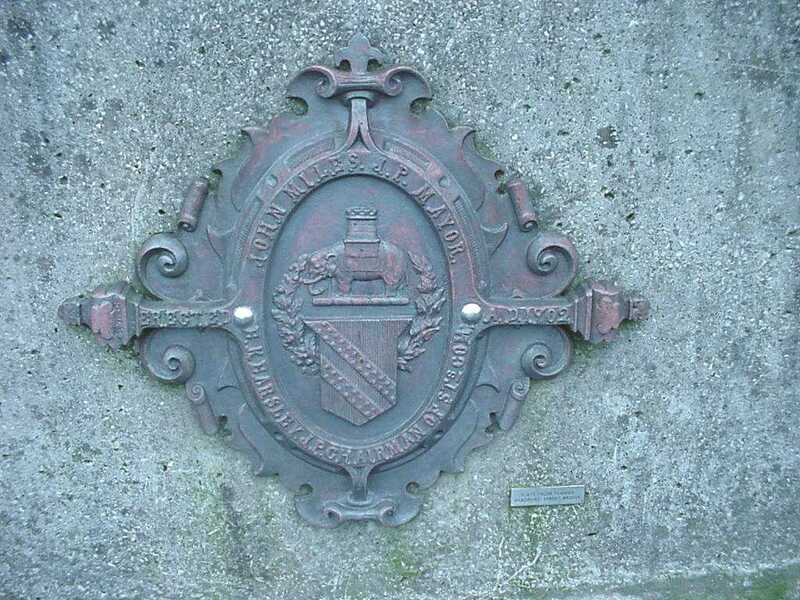 The Diocese included Bolton, and for that reason a Lancashire Red Rose, and the elephant is shown in the Armorial Bearings. 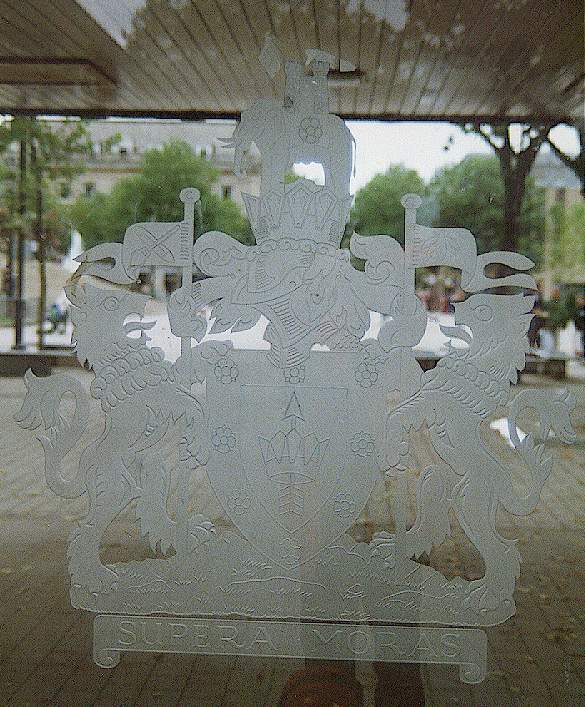 However, the symbol of the elephant has been in use in Bolton for much longer, and one of the first recorded uses was in the official stamp of the Clerk to the Board of Trustees in 1799. Bolton Metropolitan Council has produced an activity booklet called the Elephant Trail, recently updated. I am currently working on a much extended internet version which will appear here. 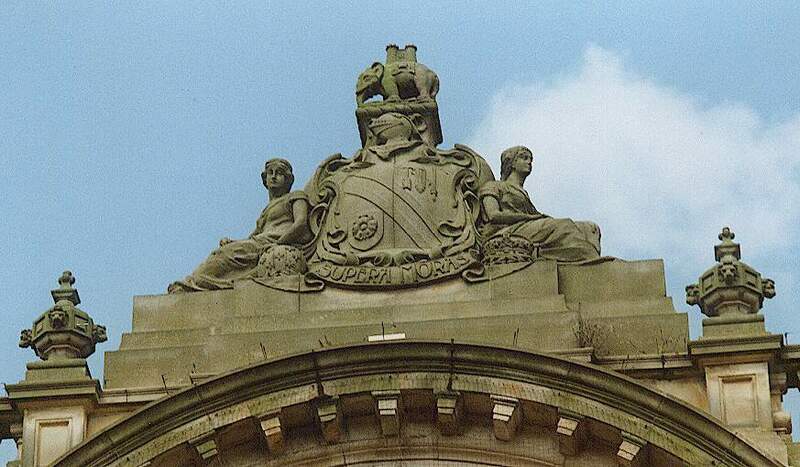 This is one of a pair either side of the war memorial in Victoria Square. 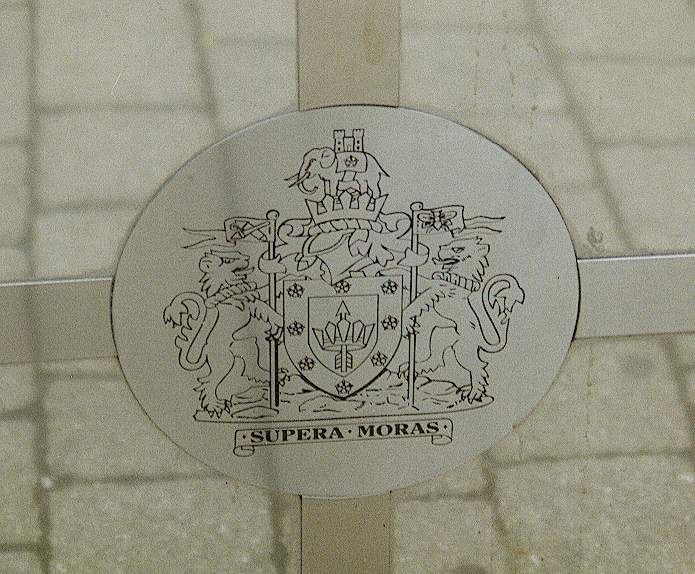 This 'engraving' is in one of the panels of the canopy. 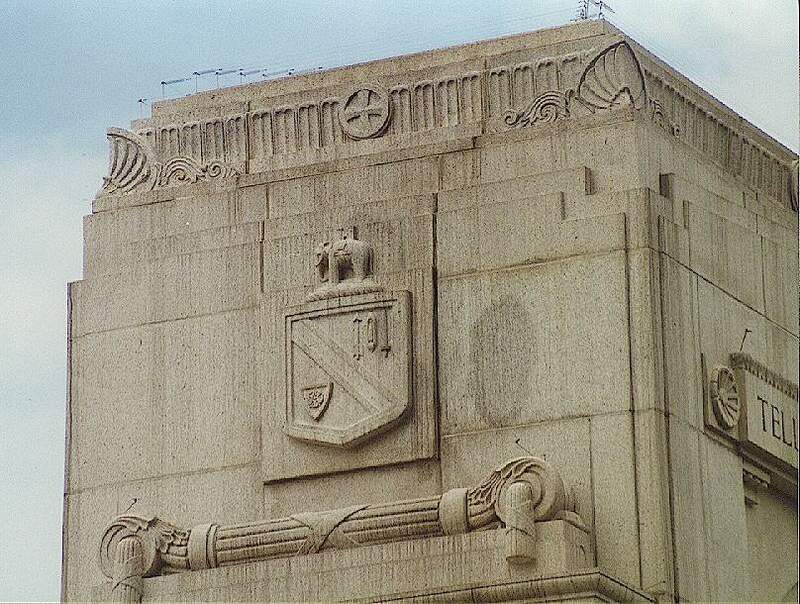 This stone carving is in remarkable condition considering its age. It is at one corner of the building at the junction with Blackhorse Street. 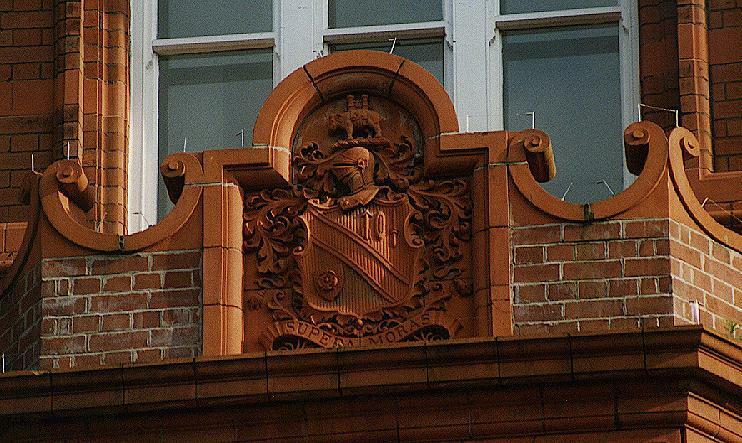 The elephant can be seen in the Coat of Arms over the Old School Rooms in Great Moor Street. This is in the Springfield area on Bradford Road, on the bridge going over St. Peter's Way. 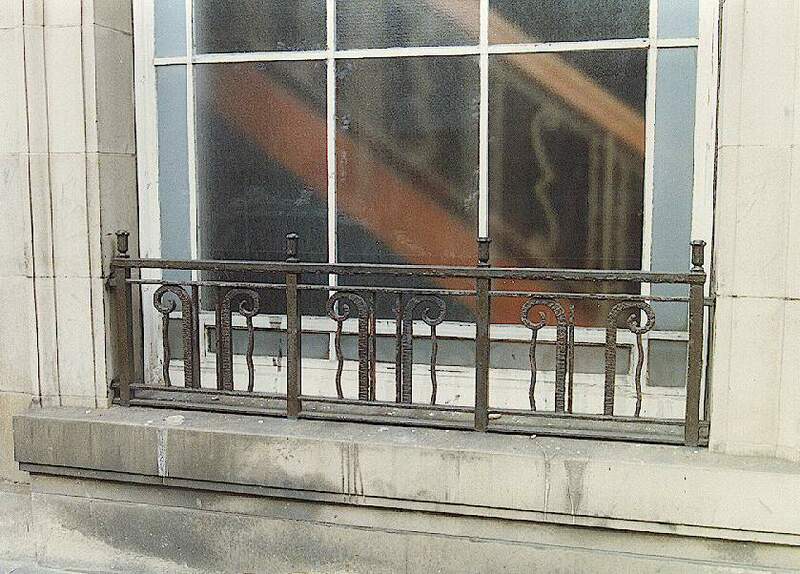 Look closely at the railings, they are like elephant's tusks.